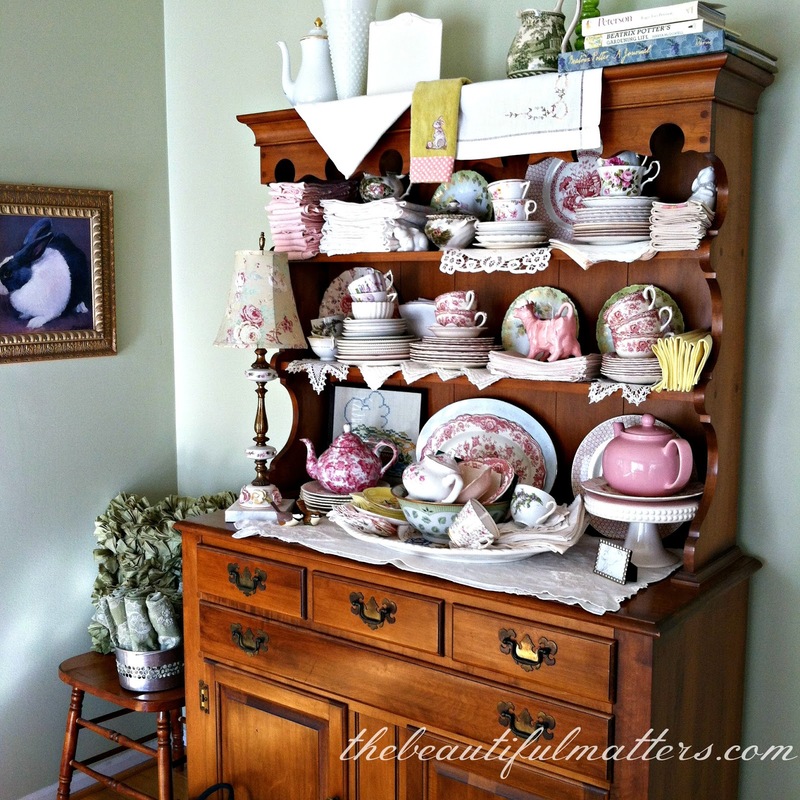 I was perusing some blogs Saturday morning, and got inspired to do something with my china hutch after reading this post by Jacqueline at . . . Cabin & Cottage. I was already in the middle of re-organizing some china. Over the past couple of years I have gotten rid of six sets of china or stoneware, but I still have a lot (that I want to keep) that is taking up valuable shelf space in my pantry. A set of dishes that grandmother gave to my daughter that we are storing, our Christmas dishes, our Thanksgiving dishes (which we also use in the winter), and various and sundry tea sets and red, green, and brown transferware. I am packing up the Christmas and Thanksgiving dishes and will store them on the floor under a pantry shelf. I have tea cups in cupboards, on the hutch, on a buffet table, and on this antique gate-leg table . . . They are all over the house. Can I somehow consolidate them so they are only in two or three places? I am also trying to find a better way to store my vintage napkins and tablecloths. 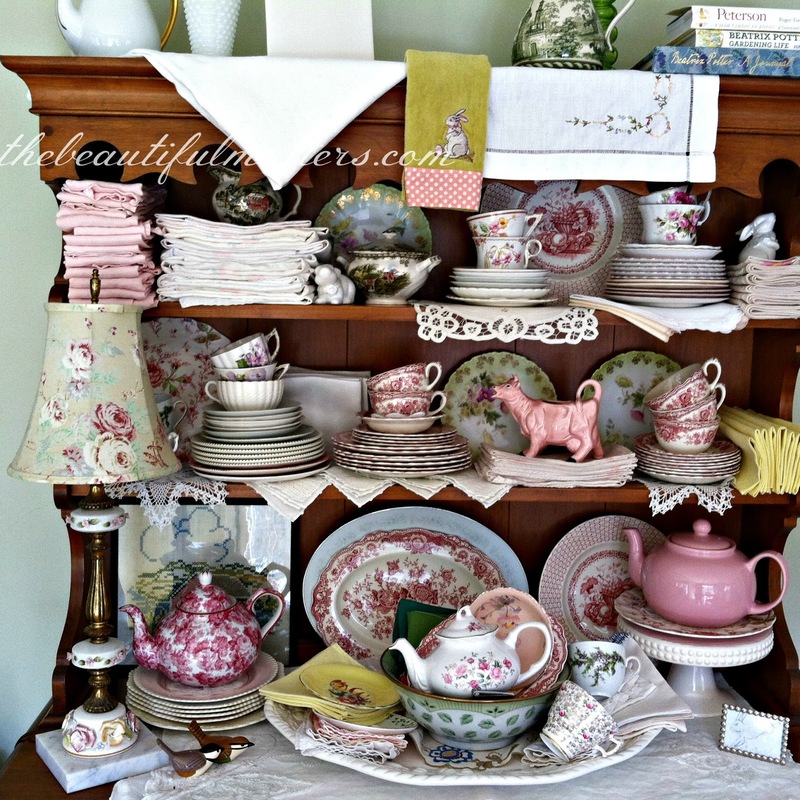 Jacqueline's post inspired me to consider putting my napkins on my hutch shelves in addition to the china. Here are some napkins on a flow blue platter in my living room. More residing in a kitchen drawer . . . 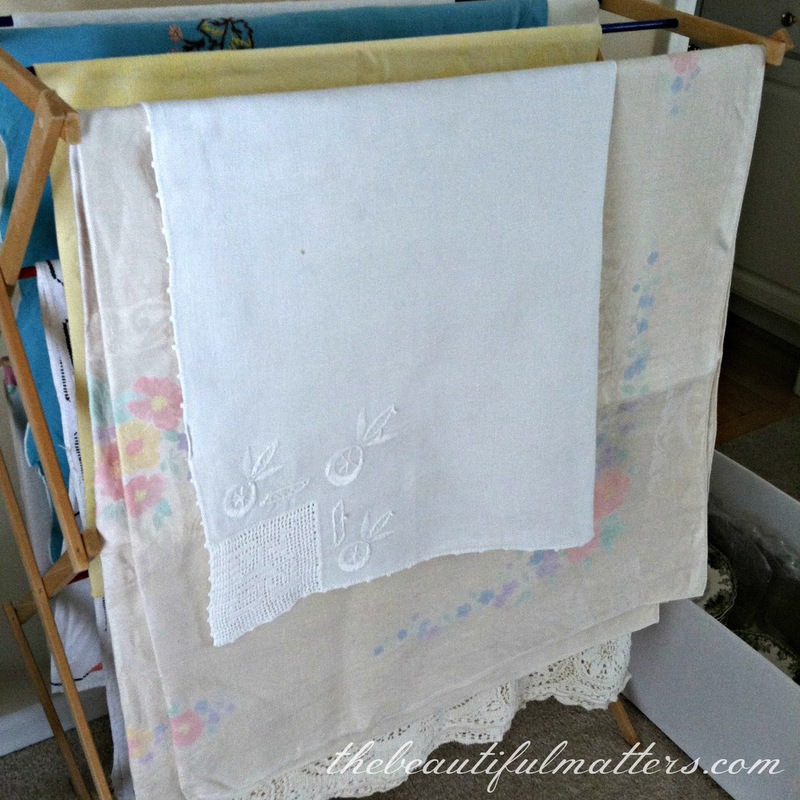 This is the best option I've found for my tablecloths, a wooden clothes dryer rack. But where to put this thing? Here is what my hutch looked like before . . .
And here is what it looks like now . . .
Maybe I overdid it. Talk about packed. My husband dislikes hearing china rattle every time he walks by the hutch, so I made sure to pad things with doilies and napkins. Then I stomped past it several times to make sure nothing was loose! This cow is thinking, "whoa, mama, that's a lot of china. Maybe you need to moooo-ve some of it off of here." In any case, this much work calls for a cup of tea. I will decide over the next few days whether or not I like it. What do you think? Too much? 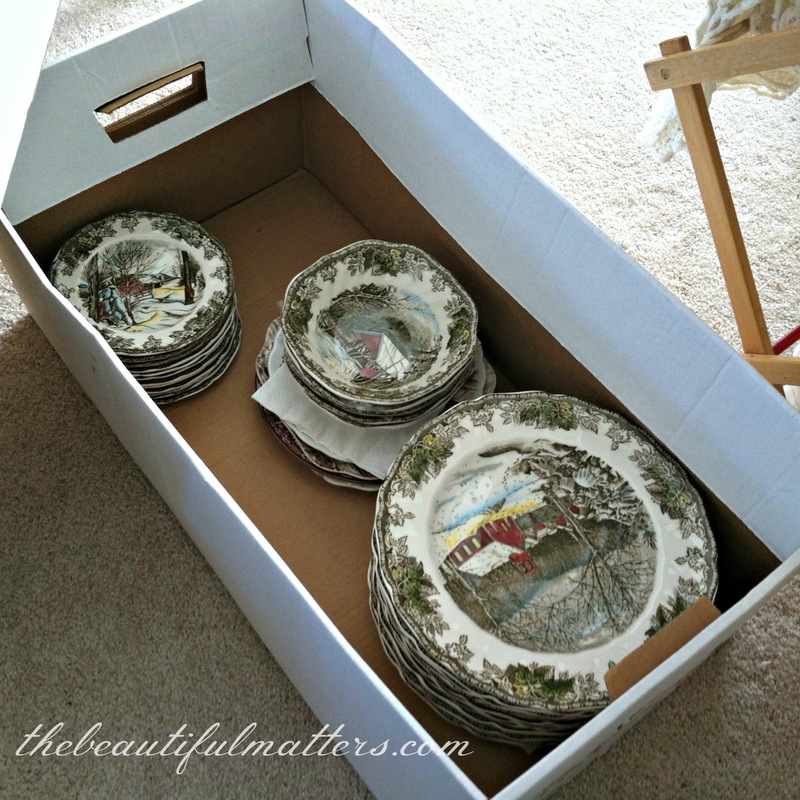 How do you store china and linens that you use often? I also like the tablecloths hanging on the drying rack. That's a great way to store and display them at the same time. Now I'll have to look for a wooden dryer at yard sales! That's a lot of china! I hang my tableclothes over padded pant hangers in the guest room closet. But napkins, I just store flat on a lower shelf of my front hall buffet. My kitchen cupboards are pretty packed but I have no where else to put them. With all the wine glasses and serving pieces, I'm pretty packed to the rafters. Guess I need a day of organizing! 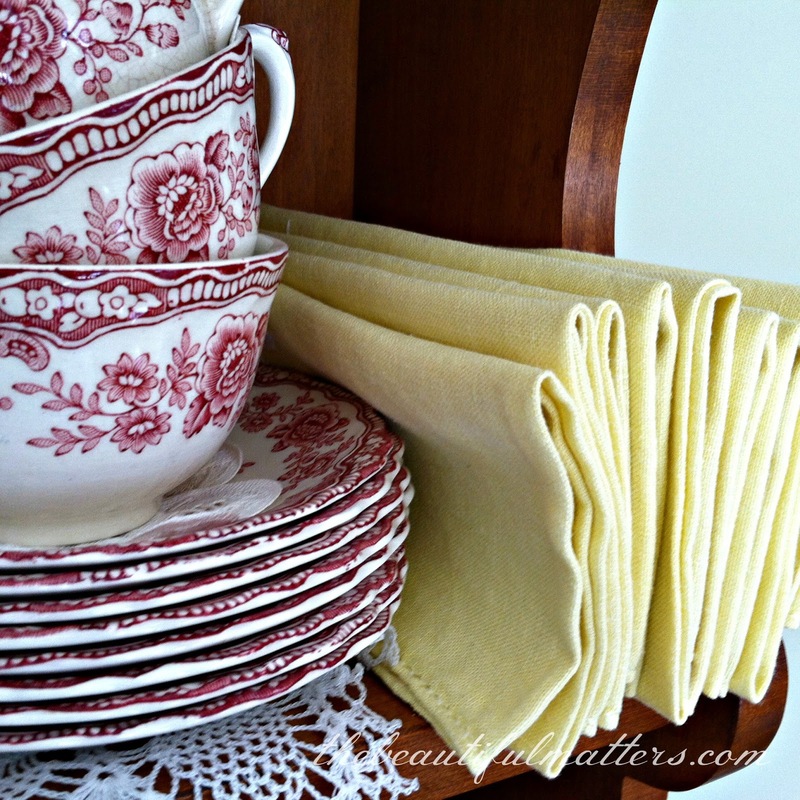 Wow, you have lots of beautiful red transferware...and linens! I hate hearing china rattle when walking through the dining room, too...I found if put little pieces of paper toweling under most things it works like a charm. I love all your pink/red china! I am collecting Friendly Village as well but it is difficult to find pieces here. I really should start checking out eBay again. 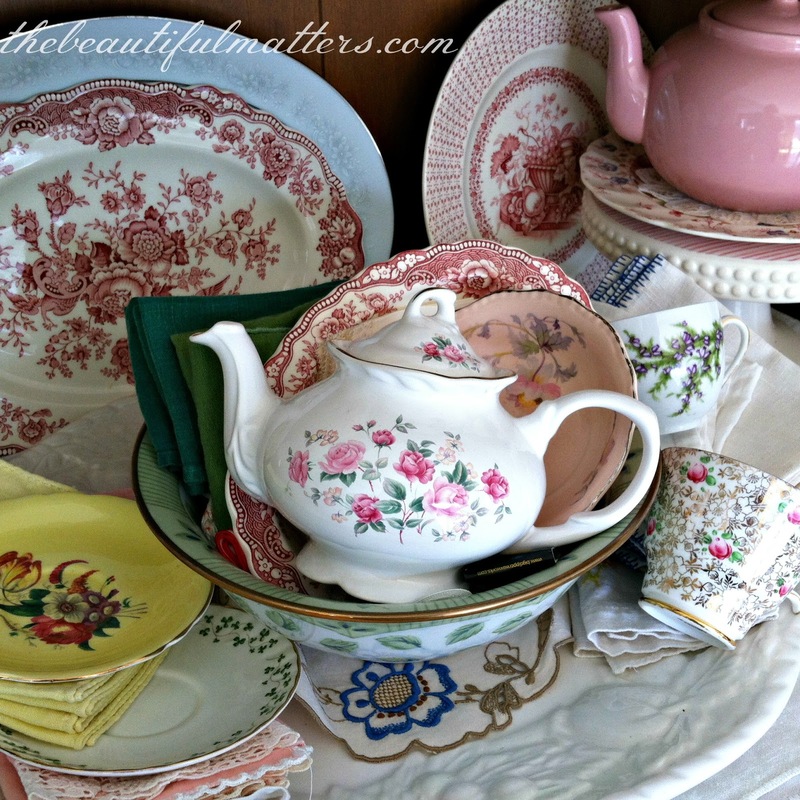 My china is stored all over my house, most of it behind closed doors, and Hubby says I need to get rid of some of it. But what to part with?? So many pieces were given to me and hold sentimental value. It is a dilemma! 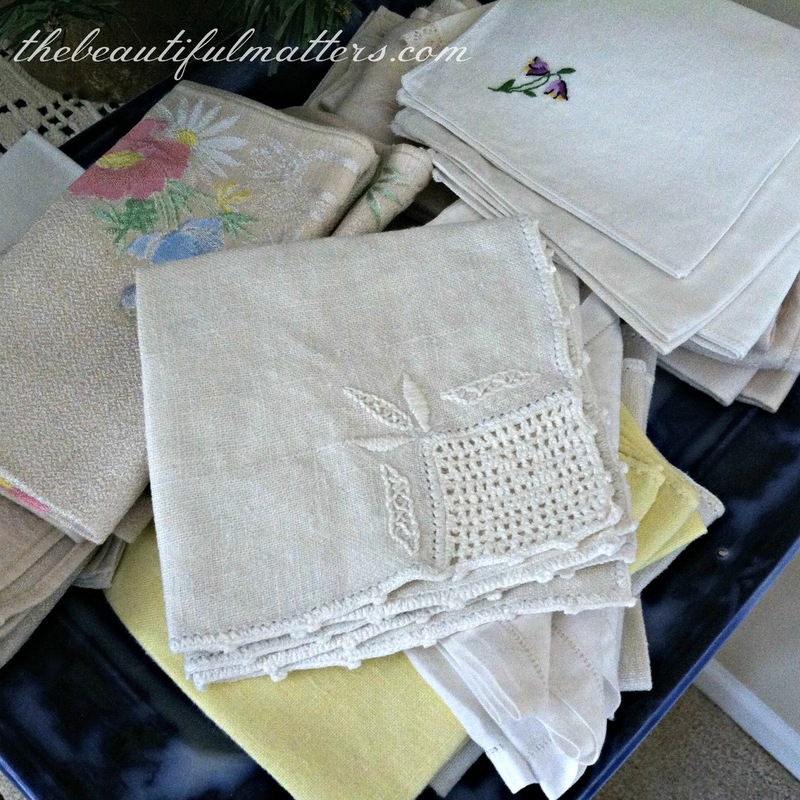 My napkins I keep in a drawer in my china cabinet and the tablecloths are in the linen closet. Thank you for sharing and joining me for Tea Time. Great changes! I guess we are all in a spring cleaning mode! Love the hutch now with things so beautifully displayed! You have the same hutch as my dear MIL had..when my dear MIL passed away, a grandson that had just bought his first house came up from SC and got it. It had sentimental value for him, and he had at least 5 kids at that time. He was tickled pink with it. Wonder if they still have it. All the kids are grown and left the nest except 2, the last one is in high school. Freedom at last! I love all the eye candy! Much better then under my bed. But, my husband hates clutter, so I try to stay bare in my design. I do the "rattle walk", as well. Aren't we funny?! Wow Deborah. You are just as bad as me. Our collections keep growing and growing. I have been organizing my china too. Thank goodness I have a pretty large basement. My husband has also built me some very nice shelves which hold plenty of china and tea cups. I keep my tablecloths and napkins in covered coat racks. They are always pressed and ready for use that way. I love that pink cow. She is adorable. Very nice collection of transferware. Have a great week Deborah. 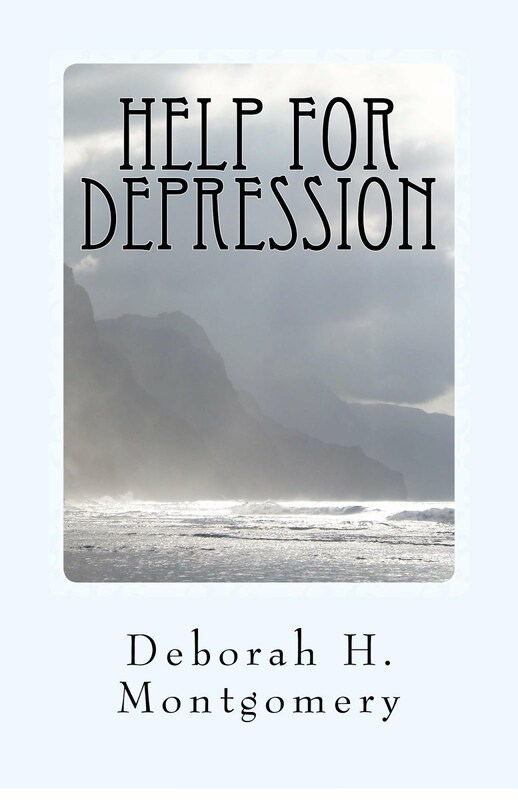 Goodness Deborah -- what a collection! I've always felt that a girl couldn't have too many dishes. I giggled at your cow and your stomping. It is a challenge to store collections. I want everything out where I can play with them -- doesn't happen! Fun post. Happy Tea Day! It's very full now but it all flows together beautifully! I just purchased a new china cabinet this past weekend for the dining room and I have a built in china cabinet in the kitchen and a couple of years ago my husband changed out our utility room for a china closet. I have a box in there now to try to thin out some dishes! It's so hard! I love your gorgeous dish collection! You have so many wonderful patterns to chose from. My china cabinet basically displays the set my Aunt gave me at my wedding....and other pieces...and I rarely use them. I bet in 28 years I have used them under 8 times...and that just isn't right...they should be used. 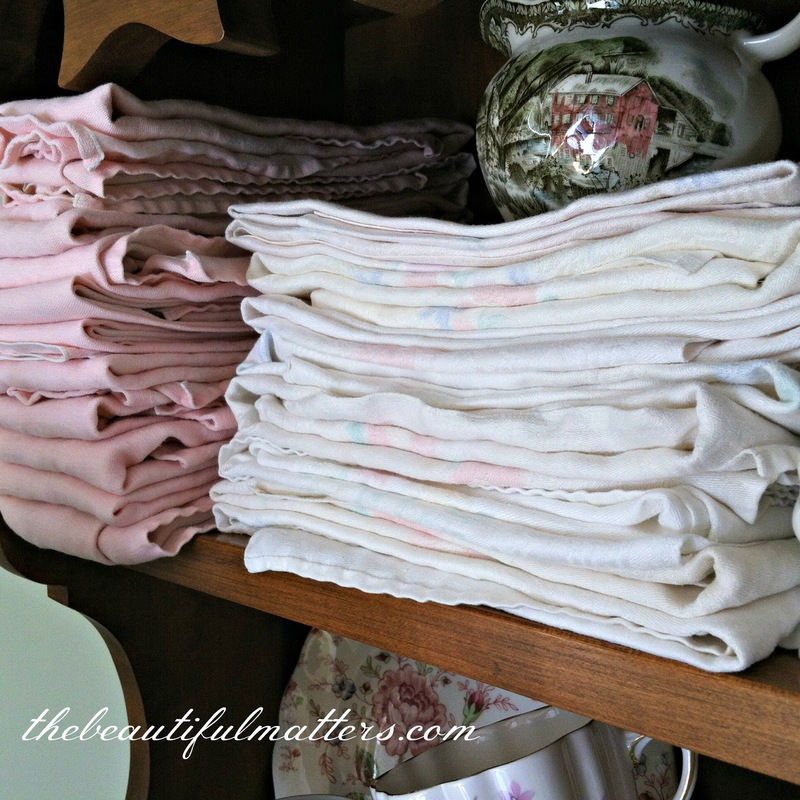 I don't have the amount of linens you do -- but love seeing your fabulous collection. I couldn't help but lol when you mentioned your hubby not liking walking by the china cabinet and listening to the dishes! :) too funny! Well Deborah, you've sparked my creative juices. The tablecloth storage dilemma has always bothered me and I just happen to have an extra wooden fold out clothes line in the basement and a place to put it. I didn't inherit any china so what I have is purchased by me and I try to curb impulse buying. 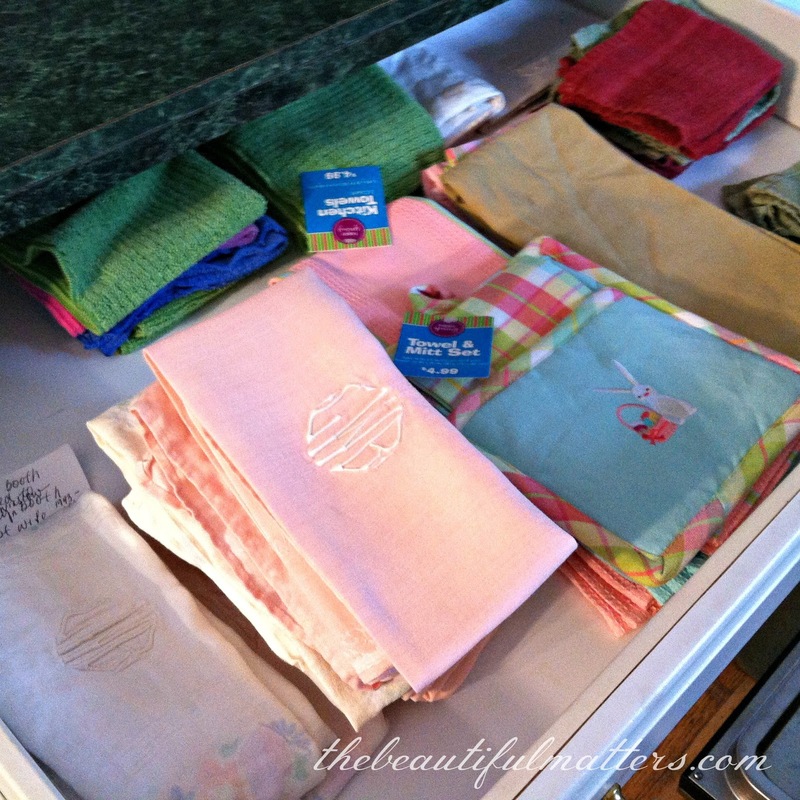 I have napkins stored in the tea cupboard in the kitchen and other linens in an extra dresser drawer. The idea of putting some of the linens out on the shelves could work for me too. Thank heavens for bloggers sharing good ideas, and I did read Jacqueline's post, she's very organized. It's so hard to organize and be practical too. I took over a closet in a bedroom and turned it into my dish closet. The kids are out on their own and it works for me. I sell some of my dishes on Craigslist or Ebay on occasion to reduce my bulk. I only keep the sentimental stuff or things I decided I didn't like all that much. I keep the napkins in two dwarers in a chest in the living room and the tablecloths down below in two more drawers. I've had to thin that stuff down too. I saw one blogger who hung all her tablecloths in a closet like clothing. I wish I had a way to do that because even though I've ironed mine once their in the drawer they end up with fold lines that I don't like. Your drying rack works, but it takes up floor space. I think I saw where someone bought one of those shoe holders for a closet and put the napkins in those spots where the shoes would go. That seemed pretty reasonable to use. I'll have to check out Jacqueline's post! Oh I'm so glad to have sparked an idea! You have a beautiful collection to display. Mine changes all the time because I use all of mine a lot. But yes, it's a constant challenge! So sweet of you to mention my blog here! Thanks so much! I love the cow's comment...it made me giggle. Wow you have a large collection!! I'm starting to have the same problem...although my collection is way less than yours...all the more reason to keep helping it grow ;). But then there is the storage problem. And the fact you can't actually see most of the china when it is stored :(. Your hutch turned out very pretty, but I'd be afraid stuff would fall when I tried to get something down. Though if it isn't clanking, then you really must have it padded well! I agree! All your work does call for a cup of tea! Your hutch looks amazing. I think you did a lovely job of it. 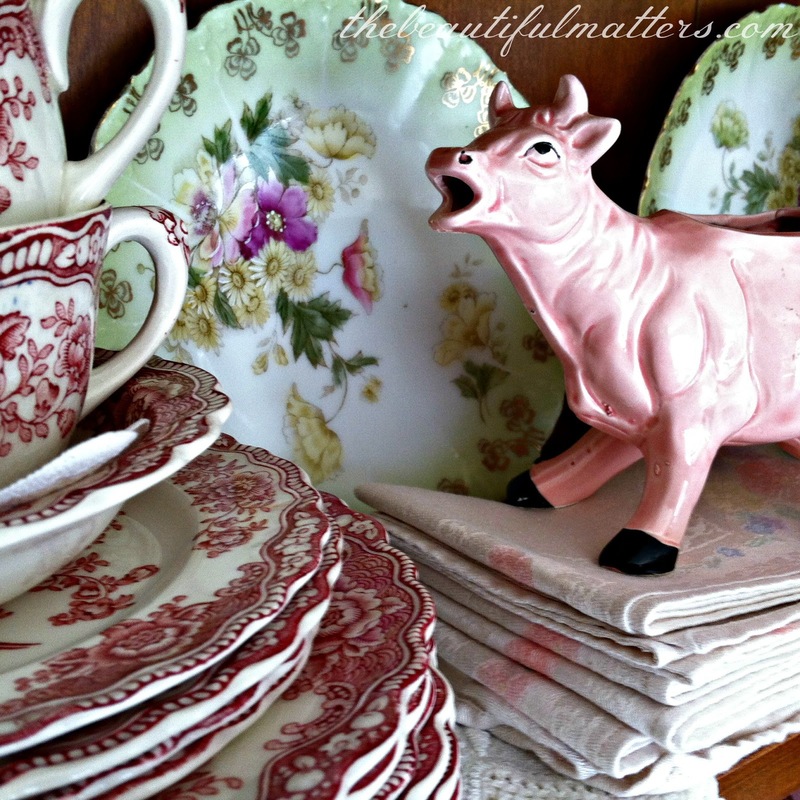 Seeing all your gorgeous china and linens makes me smile. How lovely! And what a problem to have...too many tea cups! lol! I too, have been looking at ways to store my linens. I iron them and then they end up wrinkled. Your clothes rack looks like it does the job well. Now it looks like I should get my china and linen organized in the house. It is fine in my antique shop cause I move things around frequently. But once something makes it to my personal collection in the house they just stay there. I think your hutch looks beautiful--bright and cheerful, and fun! Just what we need with Spring holding out so long. Makes me want to dig in and find a "favorite" tea cup and plop myself down in your dining room for a cuppa. Have a great day, Deborah! I'm working on organizing my linens right now. After many different configurations, I'm putting my napkins into plastic bags so that they don's take up so much room. I also hang my tablecloths on large hangers I get from the dry cleaner with paper towel cores so that they don't crease. Just slice the paper towel core open and hang it across the hanger. Works with the cardboard cores from wrapping paper, too. Good luck! I like your new look. I was afraid you were into that "minimalist thing" some do! Lovely! So glad you shared at Friends Sharing Tea! Love your red/white transfer ware. I have some assorted pieces and lots of plates but only two cup and saucers and today used it to serve homemade soup to a dear friend on a wet, chilly, rainey day. We had the fire going and soft candlelite. For dessert we had fresh cut strawberries with pineapple tidbits and slivered almonds and coconut flakes with whipped cream on top in deep sherbet glasses and used icetea spoons to enjoy this eyeappealing and tasty, healthy refreshment. Of course tea was a must and we had Creme de Earl Grey. Sylvia, thank you for visiting! Your soup and dessert luncheon with tea and a fire sounds wonderful. I love those special times with a friend. 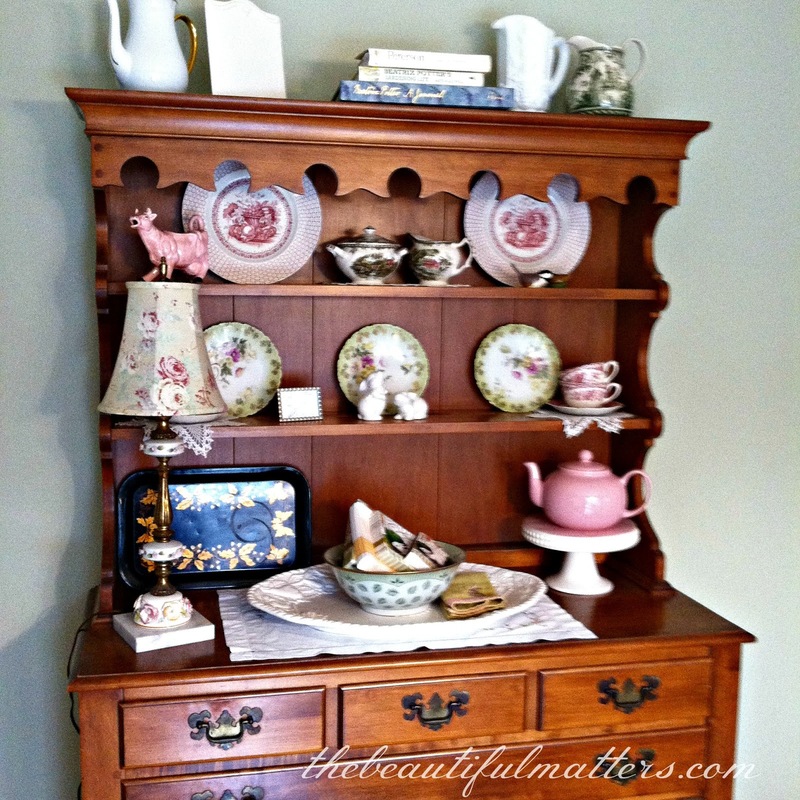 Oh my heavens, your hutch looks just beautiful with all of your treasures! Never too much for me! Awww, love your little talking cow, her comment, moooo-ve some of it - cracks me up! She must be delightful to have around! Beautiful collection and great tips! I like it but am too OCD to live with it for long. I take the 'rotation' approach! Love the cow creamer! Happy SYC Thursday! Oh, I love your red dishes. That is such a pretty pattern. It looks like a great idea for storage to me. This is delightful to the eye - all the colors and textures. Tt is a wonderful display - love having the vintage linens out on display AND the linens being practical to stop the china chatter. Well, I just love how your hutch looks with all of your linens and pretties in it! I'm also adoring that little cow creamer too. I've started collecting them lately! WOW! It looks stunning! I love how you put everything together! I have those same friendly village dishes and red transferware too! :) have a great weekend. What a wonderful collection! Jealous. If you have not shared yet at Bacon Time linky, please do. Hi, Deborah! I still haven't been able to put everything in one place. I don't imagine that will ever happen unless and until we move to a home with at attached 2000 sq. ft. warehouse!!! :-) I have just come to face the fact that if I'm going to have all this stuff, I'm going to have to be smart about storing it and do the best I can. I currently have a very good memory for where pretty much everything is, but as the years are passing so quickly, I know that is a luxury I won't enjoy for much longer. I use a computer catalog system called Flip Album to keep things orderly in my mind. I created chapters (up to 42 so far!) and diligently photograph every decorative item that comes into the house and add it to the catalog along with the quantity, dimensions, and a shore description. SO easy to keep track of stuff. I have started adding a little asterisk that notes in what room the item is. That will really come in handy when my brain can no longer process locations as quick! I have more than 80 sets of dishes, 50 sets of chargers, about 92 sets of stemware, more than 300 table linens (stored in 2 guest room closets on pants hangers, color coded & with i.d. tabs)...you get the picture. Trying to keep up with all that along with scads of decorative items requires a good system. The Flip Album thing is the best way for me to do that. It looks like you have a pretty good collection going on...and all SO pretty! I hope you're able to figure something out that works well for you! I'm rooting for ya!!! Have a great weekend! wow, that is a huge collection, Alycia! I can see why you have to keep such an organized inventory! My mother-in-law took pictures of her jewelry and other valuable items and then wrote on the back of the pictures who she wanted to have it. I am a first time visitor. I love the red/pink china! Is that the Staffordshire Kent design?? That was my grandmothers china, my sister has her china service, but I was able to find a couple of stray pieces at flea/yard sales and online. Looks great all together. Thanks for visiting Lisa! The dishes are Bristol by Crown Ducal. They were my grandmother's, and after I got them, I started collecting red transferware, and now kind of mix and match it together. Love it. This is my first visit to your blog and it's just beautiful! 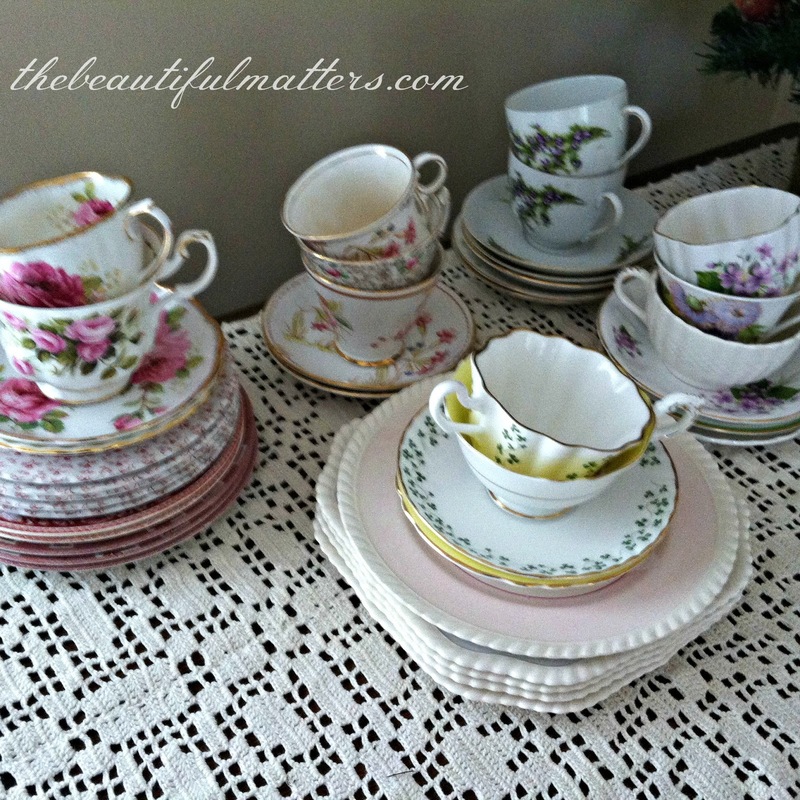 You have a gorgeous selection of china and such lovely teacups! I, too, gave away several sets of dishes about 10 years ago and have kept it to only the things I love the most. It is hard to store them all and I am always on the lookout for good ideas. I have a linens dresser with most of my linens in it except my big tablecloths which I hang over hangers on a great french iron set of five hooks. Since I started doing that I don't have as much ironing to do before using them. Still, I am on the lookout for yet another place as I've outgrown the dresser and the hooks! Deborah, it is full but you have done it nicely. I think you will like having a lot of your pretties close at hand. 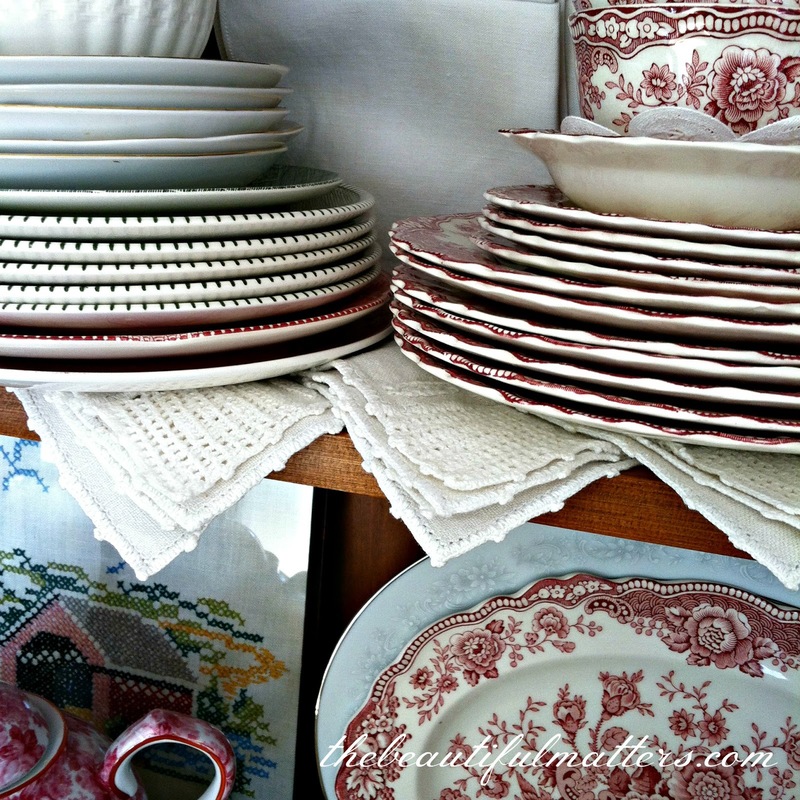 Love the red transferware! I don't have lots of china. More seasonal dishes which I store under my island. My red transferware that I found at a thrift is displayed in my living room. I also have a collection of red glass that I store in a cabinet in my living room. Everything else is in my cupboards. Luckily my kitchen has a lot of cabinets. Thanks for sharing all of your lovelies with SYC. The expression in the cute cow is like: 'wow, you finally did it, Deborah, lol! You have gorgeous dishes and I'm a passionate of them too! 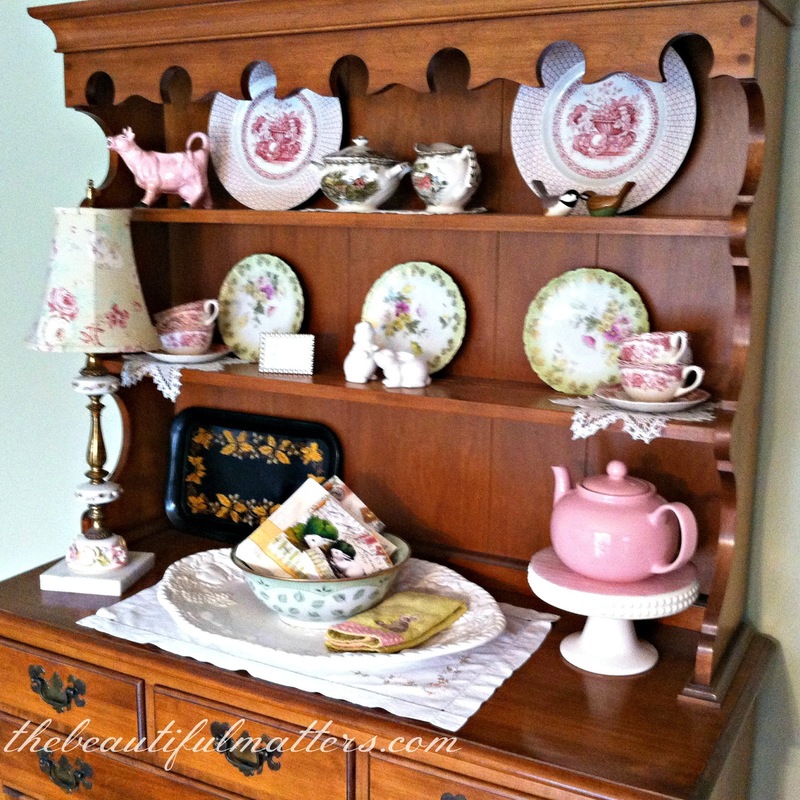 Your hutch looks amazing sweet lady, you did a fine job stroring and displaying such lovely china and vintage linens. Yes, bloggy friends are the best inspiration, ever...better than any magazine and for every topic too! We are featured together at A Return to Loveliness. Kathy is such a generous and supportive hostess. I really like what you've done in the hutch -- I prefer it with the plates and saucers stacked like that, and a cluster of cups, and the linen added gives it a soft touch. Very pretty! Unfortunately, my linens live in drawers right now, and sometimes I forget where certain ones are. I found some vintage tablecloths recently that I'd forgotten I owned :) Isn't it fun to fiddle with beautiful things? I believe in pink . 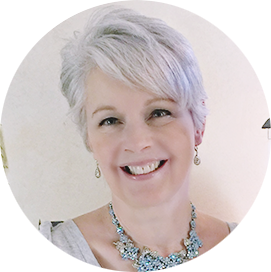 . .
Breakfast with the birds and GIVEAWAY winner!